Over the years, network cabling has undergone profound changes. 10GbE has successfully extended its coverage from enterprise data centers to medium network market. As the demands increase, it’s important to find an optimized solution for 10GbE applications. In this case, SFP+ DAC serves as a good option. This post will introduce basic information about SFP+ DAC. SFP+ DAC (direct attach cable), also named SFP+ DAC twinax cable or SFP+ direct attach copper cable, is a fixed assembly with a fixed length, and the SFP+ connector modules permanently attaches to each end of the cable. By connecting two SFP+ slots directly, SFP+ DAC effectively eliminates the costly optical transceivers required by the device and significantly reduces power consumption, latency, and installation time. Meanwhile, it uses an enhanced SFP+ connector to send data up to 10Gbps through a pair of transmitters and receivers over a thin twinax cable. Thus SFP+ DAC has become an optimized choice for modern short-range, high-speed 10 Gigabit Ethernet applications. SFP+ DAC comes to two different types: passive SFP+ DAC and active SFP+ DAC. Passive SFP+ DAC contains no electrical components, thus it requires little to no direct power to operate. So the host networking device must support the signal processing functions. When a SFP+ is inserted, networking gear compatible with passive SFP+ DAC reads the module type, and the signal conditioning is activated only when a passive SFP+ DAC is detected. Passive SFP+ DAC can afford the length ranging from 0.5m to7m, but it’s more susceptible to degradation due to attenuation and crosstalk. Active SFP+ DAC needs DC power to integrate signal processing circuitry into its built-in connectors. That’s one of the reasons why active SFP+ DAC is usually more expensive than passive SFP+ DAC. Active SFP+ DAC has a silicon chip to improve the performance of the cable. It allows cables to be smaller, thinner, longer, and transmit data faster. It affords the length ranging over 7m. It has a lower cost and higher reliability. It has fewer components (No Active Tx /Rx Components) and only has capacitors, resistors, EEPROM and cable. It improves signal integrity and allows longer cable lengths. It provides Transmit Pre-emphasis and Active/Adaptive Receive Equalization. From the above, we can come to the conclusion that passive SFP+ DAC is much less expensive but requires the host to do the work of driving it properly, while active SFP+ DAC offers added benefits but cost a lot. When the distance is no more than 7m, passive SFP+ DAC is recommended. As for link distance is beyond 7m, active SFP+ DAC would be required. SFP+ DAC is a cost-effective option to traditional fiber and twisted-pair copper cables in data center deployments. It can provide better performance for high-density deployments and improve electrical characteristics for the most reliable signal transmission. It’s typically used for connections between in-rack and inter-rack. So if you are looking for one, FS.COM offers various of high quality SFP+ DAC with different lengths. And we also offer customized services to meet your special needs. If you’re interested, please contact us at FS.COM. SFP+ DAC Vs. 10Gbase-T: Which One Benefits You Most? This entry was posted in DAC & AOC cables, Fiber Optical Transceivers and tagged Active SFP+ DAC, Passive SFP+ DAC, SFP+ DAC on November 8, 2018 by Admin. In respond to the demand for a higher data bandwidth, active optical cable (AOC cable) has came into being to satisfy different cloud computing applications. Active optical cable is a term used to describe a cable that mates with standard electrical interfaces. The electrical-to-optical conversion on the cable ends is adopted to enhance the transmission speed and distance of the cable without sacrificing compatibility of standard electrical interfaces. This article will give a general introduction of active optical cable (AOC) and its most popular product in the current market. AOC cable mainly consists of two parts- the fiber optic connector and fiber cable. The connection between fiber cable and connectors is not separable. If the connector or cable needs to be changed, they should be removed together. The electrical and optical signal conversion can be achieved right through each ends of optical fiber. 1) Although both cables are used for short range data communication, active optical cable is able to provide a longer reach than direct attach copper cable among devices. 2) Active optical cable has a higher bandwidth because its signal transmits through optical fiber as optical signal which transmits faster than electrical signal in copper cable. The maximum throughput of AOC cable is up to 40 Gbps with QSFP+. 3) The weight of active optical cable is lighter than copper cable due to the optical fiber material. It is possible for AOC cable to achieve a simpler cable management with a lower weight. 4) EMI (electromagnetic interference) immunity is another benefit of active optical fiber. EMI is a disturbance generated by an external source that affects an electrical circuit by electromagnetic induction, electrostatic coupling or conduction. Since the optical fiber is a kind of dielectric which is unable to conduct electric current, active optical cable will not be affected by the electromagnetic energy. Nowadays 40G QSFP+ active optical cable has become one of the most popular products in the market. It is an active optical cable used for 40 GbE terminated with 40GBASE QSFP+. Particularly, 40G breakout active optical cables, such as 40GBASE QSFP+ to 4xSFP+ AOC or 40GBASE QSFP+ to 8xLC AOC, are cost-effective solutions for 40G to 10G migration. Active optical cable market accounts for a great share and is still booming for further development. The interconnection in short range and high speed between devices makes active optical cables practical in data center. As the technology matures, the application of active optical cable will be migrated to higher speed transmission in the future. This entry was posted in DAC & AOC cables and tagged 40G QSFP+ AOCs, Active Optical Cable, aoc cable on May 31, 2016 by Admin. Driven by the never-ending requirement for faster data-rate transmission, Ethernet technology has continually evolved from 1GbE to 10GbE and eventually to 100GbE. This demand for faster application speed has also spurred technological evolution on data carrying techniques. Consequently, fiber and copper transmission standards has been progressed, providing greater bandwidth for transporting data over Ethernet architectures with reduced cost and complexity. In today’s article, some detailed information will be provided on 10G SFP+ twinax cabling. 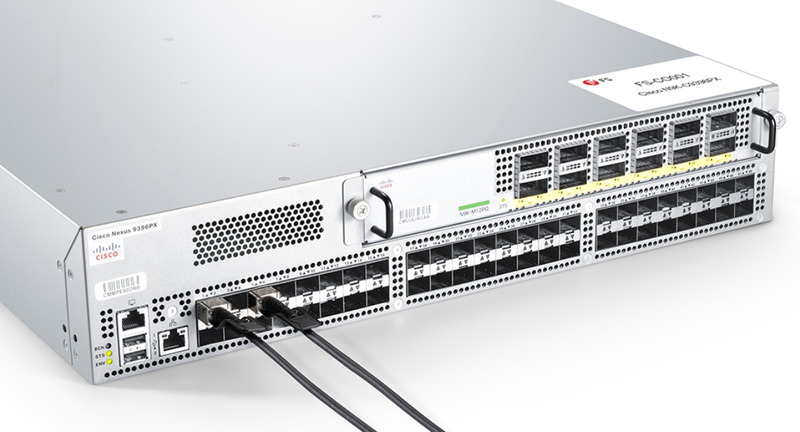 Why Implementing 10G SFP+ Twinax Cabling? Many research companies forecast that 2016 will be the year of 100G. So why implementing 10G twinax cabling here? There are several reasons which will help you sort this out. Regardless of cost, most LAN infrastructures employ a mixture of copper and fiber premises wiring. 10GbE bandwidth are generally sufficient to support the transfer and streaming of large data, video and audio files. Thus there are no demands for greater network performance or application bandwidth. What’s more, costs associated with re-cabling a network can be exorbitant and organizations should take precautions to ensure their cabling systems can last well into the future. 10GbE twinax cabling provides the best assurance for being able to support forthcoming technologies and delivers utmost investment protection. What Is 10G SFP+ Direct Attach Twinax Cable? SFP+ Direct Attach Cable (DAC) is a copper 10G Ethernet cable which comes in either an active or passive twinax cable. The difference between them is that an active twinax cable has active electronic components in the SFP+ housing to improve the signal quality while a passive twinax cable is just a straight “wire” and contains few components. As such, they support different transmission distance. SFP+ DAC cables use SFP+ MSA and copper “twinaxial” cable with SFP+ connectors on both sides providing 10 Gigabit Ethernet connectivity between devices with SFP+ interfaces, which is expected to be the optimum solution for 10G Ethernet reaches up to 10 m.
The passive SFP+ twinax cable is designed to support connections for 10 Gigabit Ethernet or Gigabit Ethernet switches with 10 Gigabit Ethernet uplink. Passive SFP+ cables, as noted before, have no electrical components and typical cover a distance of 1m, 3m, and 5m. For example, compatible Cisco SFP+ cables from Fiberstore like SFP-H10GB-CU3M, SFP-H10GB-CU1M, and MA-CBL-TA-1M, are programmed specifically to work with Cisco equipment. When these cables are plugged into Cisco equipment, they will not trigger the warning message that a non-Cisco transceiver has been detected. Figure 1 shows compatible Cisco SFP-H10GB-CU3M SFP+ to SFP+ passive copper cable with SFP+ connectors. Active SFP+ twinax cables, compared with passive SFP+ cables can support longer transmission distance of 7m and 10m or up to 15m (distance may vary from vendors to vendors). For designs that only support SR and LR applications, active direct attach copper cable assemblies provide functions such as transmit disable and receiver loss of signal in addition to signal amplification, which makes it ideal for highly cost-effective networking connectivity between switches and servers. Figure 2 shows an active copper SFP+ DAC cable with SFP+ connectors. From these two pictures, we can see that there is no visual difference between active and passive SFP+ twinax cables. So, people should read the product specifications carefully before purchasing twinax cables. SFP+ twinax cables offer a cost-effective way to interconnect 10G Ethernet devices within racks and across adjacent racks. These cables are usually accommodated into the SFP+ transceiver housing of a switch or server. Fiberstore SFP+ twinax DAC cables provide robust connections for leading edge 10GbE systems. We provide a full range of SFP+ DAC cables including SFP-H10GB-CU3M, SFP-H10GB-CU1M, EX-SFP-10GE-DAC-1M, JD097C, JD095C, etc. These SFP+ twinax cables are fully compatible with major brand. For more detailed information, please visit www.fs.com or contact us over sales@fs.com. This entry was posted in DAC & AOC cables and tagged 10GbE, 1GbE, DAC, JD095C, JD097C, MA-CBL-TA-1M, SFP, SFP-H10GB-CU1M, SFP-H10GB-CU3M, SFP+ Direct Attach Cable, SFP+ to SFP+ passive copper cable, Twinax Cabling on February 26, 2016 by Angelina.Li. Optical fiber cabling had gone through rapid development over recent years and maintained its leading role in telecom field. While twinax cable still remained a good way to access the networking industry trends over the last three decades and presented the highest longevity among all media. Twinax cable (see in following Figure) is a type of cable similar to coaxial cable that has two inner conductors instead of one. And owing to its cost efficiency, it is commonly used in short-range high-speed differential signaling applications. Currently there is a twinax cable which comes in either passive or active copper cable. So what is the difference between them? Today’s passage will provide a satisfying solution to you. 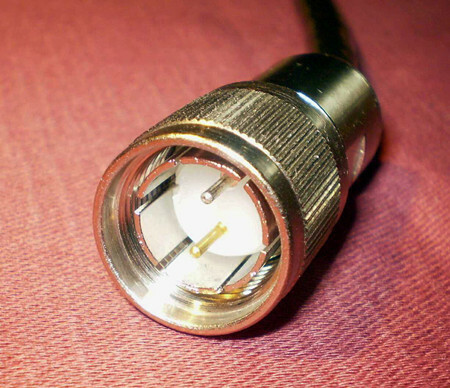 A passive cable carries a signal over short lengths (5m or under) of copper with no additional components to boost signal. While an active copper twinax cable contains electrical components in the connectors that boost signal levels. This makes active twinax cables a little more expensive than passive copper twinax cables; however, they can connect the Converged Network Adapter (CNA) to a top-of-the-rack switch over longer distances than passive twinax cables. Twinax Active vs. Passive: How to Choose the Right Twinax Cable? Length and signal strength are always two important factors you should look into when requiring a cable for an application. Typically, we can see passive twinax cables being used between the server and the Top of Rack (ToR) switch. The upside in this configuration is that the passive twinax cabling connection is much cheaper than the cost of an optical link. The downside is that you are limited in distance and there’s also some cable interoperability issue you’ll need to deal with. Passive twinax cables are rated for ranges up to 5m and provide a good working solutions at a great cost. When the distance between connection points exceeds 5m, it is highly recommended to use active twinax cables to ensure signal is transferred all the way through. The downside is that they are more expensive and use more power. The upside is that you don’t have to worry about distance (up to 300 meters) and, perhaps more importantly, you don’t have to worry about which vendor’s cable you use and the signal is improved and gives peace of mind by creating a trustworthy connection. In regards to active versus passive twinax cables, it depends on what you are connecting together. QSFP+ direct attach copper cable assemblies offer a highly cost-effective way to establish a 40 Gigabit link between QSFP+ ports of QSFP+ switches within racks and across adjacent racks. QSFP+ cable is an extension of the established interface system SFP+ that is mainly used in short distance. 40G QSFP+ to 4SFP+ copper breakout cable and QSFP to QSFP copper direct attach cable are the two common types of 40G QSFP+ copper twinax cables. QSFP to 4SFP+ twinax breakout cables are suitable for very short distances and offer a very cost-effective way to connect within racks and across adjacent racks. Take QSFP-4SFP10G-CU1M as an example, this breakout cable connects a 40G QSFP port and four 10G SFP+ ports of Cisco switches and operates at a link length of 1m. 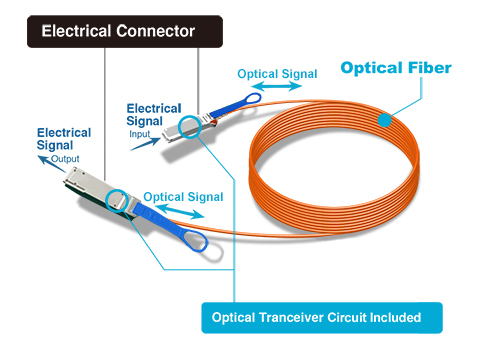 While a QSFP+ to QSFP+ passive copper twinax cable consists of a cable assembly that connects directly into two QSFP+ modules, one at each end of the cable. This cable use integrated duplex serial data links for bidirectional communication and is designed for data rates up to 40Gbps. There are various QSFP+ to QSFP+ passive twinax cables branded by famous brands, like Cisco, HP, Juniper, Brocade, etc. The following picture shows a Cisco QSFP-H40G-CU3M Compatible QSFP+ to QSFP+ passive copper cable. There isn’t a truly visual way to tell the difference between active and passive twinax cables. Therefore when you are requiring a twinax cables, please follow the instructions that I have listed above or you should ask your vendors for expertise suggestion. FS.COM offers a large variety of SFP+ cables and QSFP+ twinax cables that are well tested and compatible with major brand. If you have any inquiry of our products, please feel free to contact us. This entry was posted in DAC & AOC cables and tagged QSFP to 4SFP+ twinax breakout cables, QSFP+ twinax cables, SFP+ twinax cables, twinax active vs passive, twinax cable on January 15, 2016 by Angelina.Li. As the technology of virtualization advanced further, more bandwidth and increased data transmission are needed to accommodate the ever-growing number of operating systems and applications residing on individual servers in Data Center today. As a result, a cost-effective method to provide more bandwidth is urgently needed for Date Center. SFP+ direct attach cable as one of the high-speed data transmission solution for data center interconnection is now widely used for 10GbE. This post is going to give an introduction to SFP+ DAC. What Is SFP+ Direct Attach Cable? As the name implies, SFP+ direct attach cable uses the inexpensive copper twinaxial cable with SFP+ connectors on both sides, which is also based on SFP+ MSA (multi-source agreement), providing 10 Gigabit Ethernet connectivity between devices with SFP+ interfaces. In brief, it integrates SFP+ compatible connectors with a cable into a low-latency, energy-efficient, and low-cost solution. DAC is available in several lengths up to 10 meters and are currently the best cabling option for short 10 Gigabit Ethernet connections. Generally, there are three types of 10G SFP+ direct attach cable: 10G SFP+ passive copper twinax cable (PCC), 10G SFP+ active copper twinax cable (ACC), and 10G SFP+ active optical cable (AOC). They are suitable for highly cost-effective networking connectivity within a rack and adjacent racks. 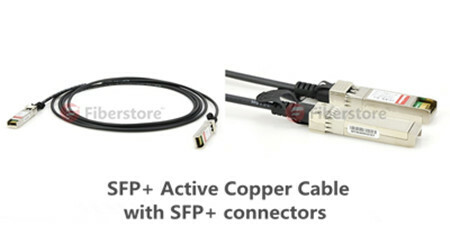 10G SFP+ Passive Copper Cable – SFP+ passive DAC cable offers a direct electrical connection between corresponding cable ends. It is an ideal choice for up to 12 meters. However, because of the problems of bulkiness, weight and signal integrity, it is often limited within seven and ten meters. 10G SFP+ Active Copper Cable – SFP+ active DAC cable provides signal processing electronics to avoid signal issue, thus to improve signal quality. And it can transmit data over a longer distance than SFP+ passive copper cable, which can extend to 15 to 20 meters. 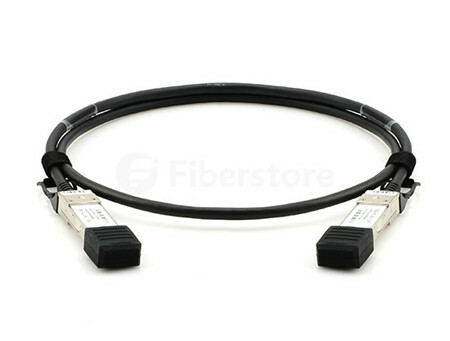 10G SFP+ Active Optical Cable – Nowadays the Active Optical Cable (AOC) is accelerating data connectivity for storage, networking, and HPC (High Performance Computing) applications. It leverages fiber optic technology for the transmission of data while reducing the weight, density and power consumption of traditional copper solutions. Currently, 10GBASE-T is not supported for OneConnect adapters due to power requirements and high latency of 10GBASE-T PHY chips. When compared with it, SFP+ direct attach cable has more advantages which is introduced below. SFP+ Technology Ensures Optimal Performance and Lowest Latency – New dynamics within data centers mandate that the cable infrastructure handles latency sensitive applications anywhere. When comparing 10GBase-T technology with the alternative SFP+ technology, it is evident that SFP+ is the right technology to ensure optimal performance with lowest latency in the data center. SFP+ technology lowers the power budget – SFP+ technology delivers far lower power usage than the 10GBase-T technology. The cost saving becomes obvious when deploying from 1000 to 10,000 cables in the data center. FS.COM offers high-speed direct attach solution for data center interconnection, especially the SFP+ direct attach cables for 10GbE with features such as optimizing power consumption and supporting modularity and scalability. Recently, FS.COM offers greatly discounts for Direct Attach Cable, which will save you a lot of money. And each kind of SFP+ Direct Attach Cables is full in stock so that you can make bulk orders. Of course, the more you buy, the more discounts you will get. For more information, Please contact us directly over e-mail sales@fs.com. This entry was posted in DAC & AOC cables and tagged 10G SFP+ Active Copper Cable, 10G SFP+ Passive Copper Cable, SFP+ Direct Attach Cable on September 9, 2015 by Admin. Overview and What Makes Cumulus Linux Stand Out?